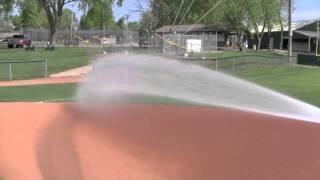 Now is the time to begin strategizing the renovations and improvements that will make your baseball and softball fields better in the next few months in preparation for next season. 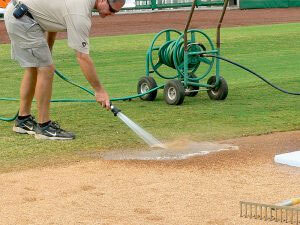 A good groundskeeper will put their ballfields to bed ready-to-go for the following season. Even those whose facilities host a fall ball season will typically get a period of a couple weeks or more of inactivity before the fall season starts up. Late summer and fall offer the best opportunity to make improvements to these ballfields because of the lack of on-field activity and typically drier weather patterns. Over the next several weeks, we’ll talk about the renovation period for ballfields and make recommendations for the types of projects that should be performed during this renovation window available. To start things off, any turfgrass on the fields likely is in need of some TLC. 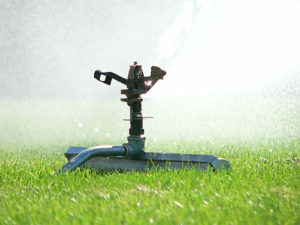 If you have irrigation, this is a good start. 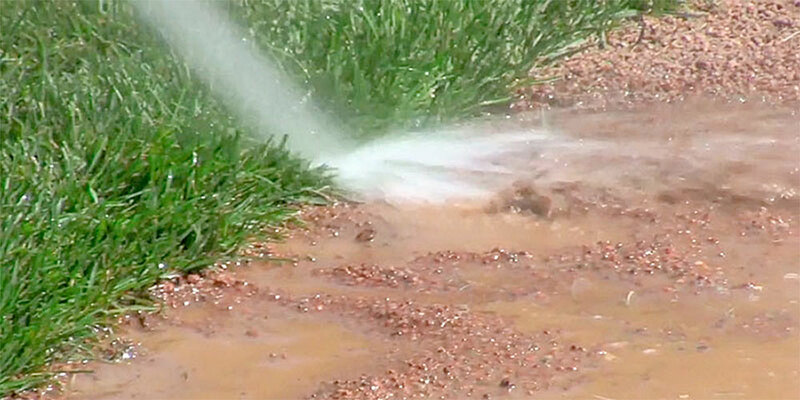 You may have been a little conservative on watering your fields during the season and because of that the turfgrass cover may have suffered. If your turfgrass density is thin on your fields, start with spending a week or so flooding that turf with lots of water to rehydrate and invigorate the turf. You will be surprised how much your thin turf areas will bounce back with something as simple as water. With the field fully hydrated, aerification and any overseeding needed would be the next process in getting your turfgrass back into shape (also see the article, Overseeding Tips from a Pro). A soil fertility test would also be a benefit at this time to help you set up the very crucial fall fertility program to help thicken your turf and prepare it for the winter season. 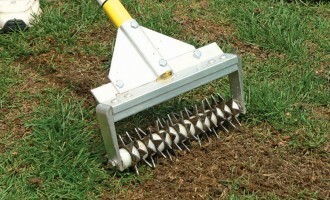 For any large worn areas, sodding may likely be your best option. On the infield areas, this is prime lip removal season. If your lips are fairly small, you can flush these lips out using a hose with a good quality nozzle. 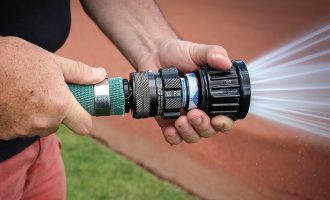 The Beacon Pro Shot is, without a doubt, the best nozzle for this job as you can very specifically control your water flow down to 5 to 10 gallons per minute which allows you to use less water to blast out the soil built up in the lips. This process is best done after an overnight irrigation or a lengthy rainfall has softened up the soil which will make it easier to evacuate the material out of the lips. 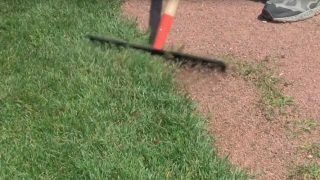 If the lips on portions of your infield are too large and cannot be removed by rake or water, then it is time to take a sod cutter to those areas and strip away the turf. You can then go back with the sod cutter and cut down and remove the excess soil to get the grade back to the original elevation. Then, replace the sod using the existing turf you removed or use clean, new sod. By removing the lips on your field you have improved the playability of the playing surface and removed barriers that impede water from surface draining off the infield. Remember, you can also visit our Groundskeeper University lesson, Module 103 Lip Management: How to Remove Lips. If you have issues with your infield soils (too dusty, too greasy when wet, infield soil chunks out too easily, sink into the infield when moist, infield material erodes during rainfall), an infield soil test will unlock all of the issues and will help to plan a strategy to repair that infield soil to help it better perform to your expectations. Beacon can provide the testing and analysis as well as recommend how to fix those problems. Call Beacon for more details on infield soil testing, or checkout the Infield Soil Test on our website. More on that next time but in the meantime, stay cool and hydrated (both you and your turf! ).